A collection inspired by the ocean life in its colours, shape and texture.It allows infinite possibilities thanks to the rotating components, made of glossy blown glass and available in two sizes, that may be arranged in different positions. Modern and vintage tastes can match together. These suspension designs click both trends with our metal rods available in a variety of finish, and you are able to choose the bulb as additional decorative element. Surface metal structure combining colorful blooming lampshades, while playing with the heights. Metal framework and hand made braided cord lampshades. Useful concept for a design based on simplicity. Focus the light around, with rotating metal lampshades, with acrylic diffuser, turning all the room into an useful place. From 1 up to 6 lights. Description Table lamp for downward light. Materials Structure: folded metal painted in matt white, black, yellow and blue. Ballast: plug converter and on/off switch. Description Table lamp for diffused lighting. Materials Structure: white or black metal lamp structure. Diffuser: blown transparent decorated glass. A family of light fixtures with three standing models and one table model. PVC shade and black base and column with Axalta paint. A design lamp is a decorative piece characterized by innovative shape, extravagant conception, unusual color or original ornamentation. 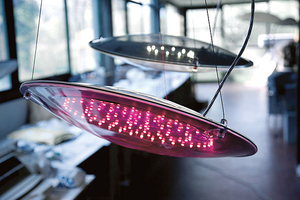 It can take the form of a wall, ceiling, floor or table lamp, a chandelier or a light column. Uses are many and varied, depending on type and lighting intensity. These lamps usually use LED, fluorescent or halogen bulbs. Choice will depend on location, lamp type and efficacy. Personal preference will determine the model, but other important aspects, such as dimming capability and maintenance, should be kept in mind.